Now that the controls in the UI of the video window are in the proper position it is time to fix the window size so the user cannot resize it. 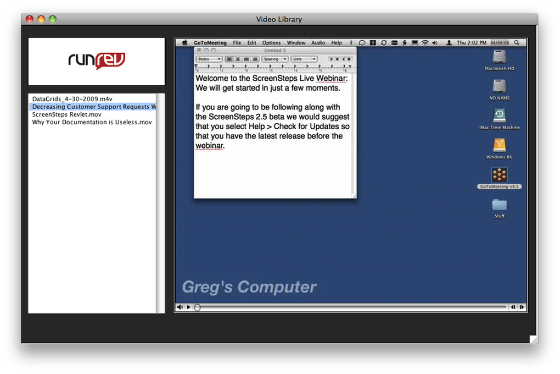 Resize the stack window by dragging the resize handle on OS X (or the edge of the window on Windows). 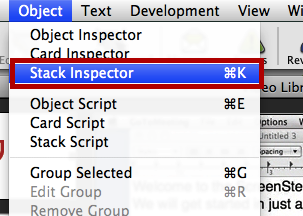 Now open the Stack Inspector by selecting the Object > Stack Inspector menu item. 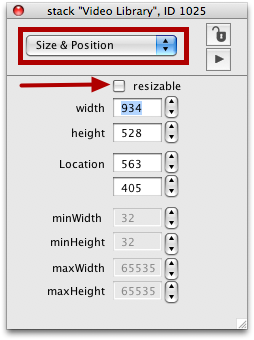 Switch to the Size & Position pane in the inspector and uncheck the Resizable property. The window will no longer be able to be resized. Note: You can also fine-tune the size of your stack window using this pane. 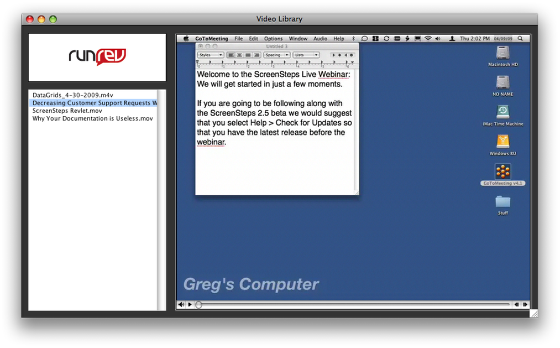 Now the stack window can no longer be resized.